Once upon a time, I made three cakes in one night. 50% of which was fed to my ever so voracious garbage disposal. I had been dreaming of lemon cake for weeks. Weeks! 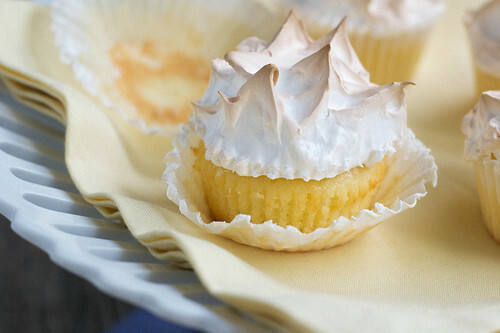 Lemon layers, lemon curd, and some fluffy cloud frosting. That’s all. Not that huge of a request, right? Wrong. I had a promising recipe for a two layer cake… but I had been dreaming of three. You can just spread out the batter into three pans, right? They’ll just be uber thin. Wrong! They’ll be crunchy and ew. When you’ve got sketchy cake layers, take my advice and stop right there. 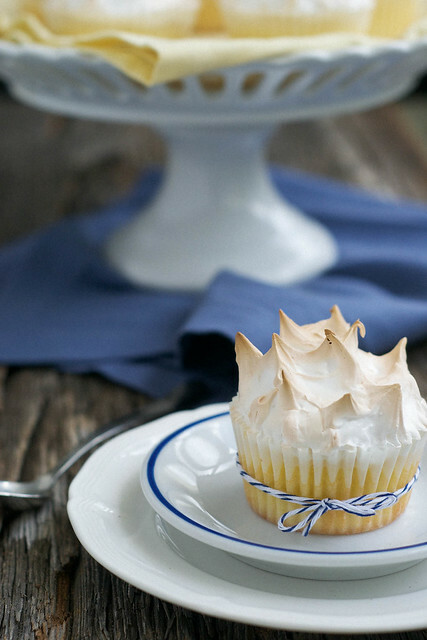 Don’t try and stack them with too-thin-but-really-good lemon curd and don’t make last minute cream cheese frosting instead of meringue. Just don’t do it. It’s really a poor choice all around. It tastes good, yes, but it’s a soupy flop hot mess mush cake lemon thing. No one really wants one of those. If you’re anything like me, it’ll be close to midnight when you assemble your disaster. You might eat a decent amount of it out of shame, and then sit on the kitchen floor and cry. Through your tears you will then decide that it’s a great time to start making a redeem-yourself lemon poppy seed bundt cake. When you realize you’re one and a half egg yolks short and don’t have authentic buttermilk, stop. Don’t make it anyways. Go to sleep, and make it in the morning. Don’t use extra egg whites and butter instead of the missing yolks. Don’t take it out of the oven before it’s done, and above all, do NOT let your impatience get the best of you and take it out of the pan while it’s still hot. It will come half out of the pan and taste/feel like spongy supermaket angel sponge food cake. And by then, it will be two in the morning, your feet will hurt, and your tearstained cheeks will be covered in abstract drippy eyeliner art. Apparently, the whole “third time’s a charm” deal is pretty valid. When you’ve passed the two failed cakes mark, it’s about time to make some cupcakes. Cupcakes are invincible. These are a bit on the laborious side of things, but they’re worth every mix and scoop and fill and toast. 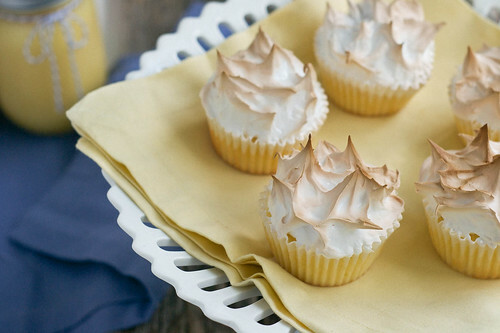 They’re filled with my favorite ever lemon curd and topped with the meringue of your dreams. 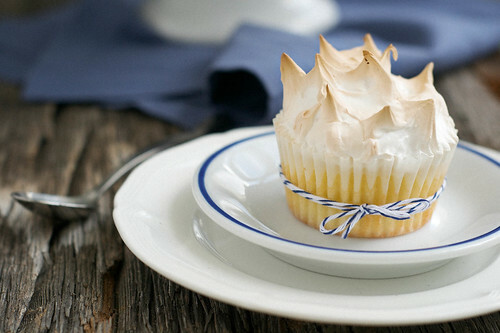 These are time-to-make-amends cupcakes. They’re sorry-I-forgot-to-pack-your-lunch cupcakes. 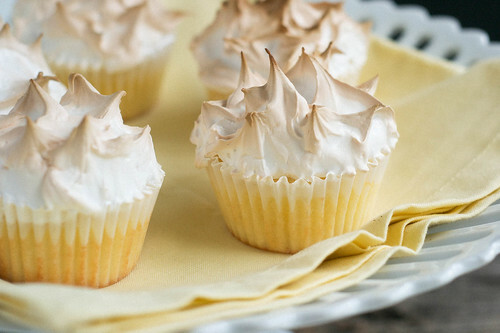 They’re look-at-my-fancy-cupcake cupcakes.